​2. Mr Jeff Mann: Issues for Boys in Middle High School – What Can We Do About It? It was a real inspiration to see the ideas and passion brought forth by the Scots educators, indicating the growing expertise across the College. Members of the audience that included staff members, Old Boys, parents and students were duly impressed with the quality and depth of each presentation. Winners were ultimately decided based on a live voting system, of which Dr Caitlin Munday came in 1st, Mr Matthew Pfeiffer came in 2nd and Ms Monique Fewkes came in 3rd. The Scots Research Office would like to thank all members of the College who have played a part in making this event a successful one. Professor Smith's visit to the College over the past two weeks also included seminars with staff on faith, language and teaching practices, keynotes on cultural difference at the Ethos Conference. we held at St Andrew's College, and other sessions with staff and students. 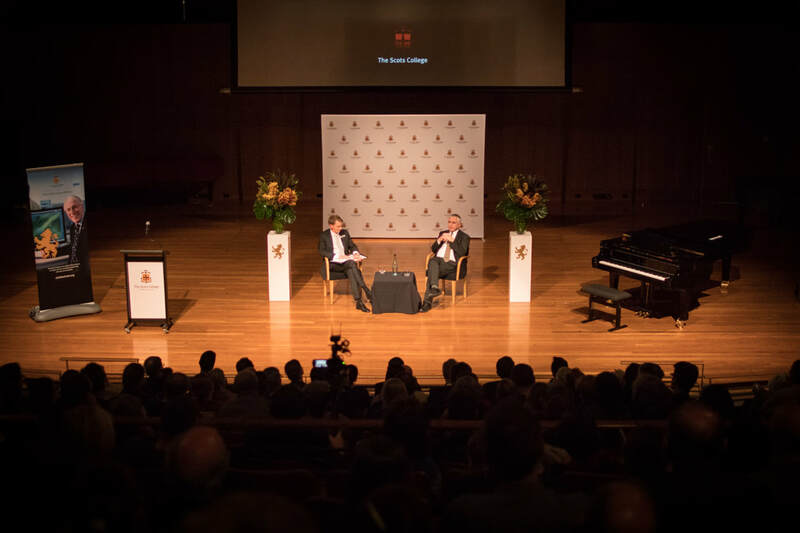 The Clark Lecture Series, now in its fourth year, aims to inspire the best of thinking about faith, learning and leadership by bringing to Sydney the world's finest scholars. We look forward to seeing you at next year's Clark Lecture Series in our 125th Anniversary, with Professor John Haldane of the University of St Andrews, who has recently been named one of the 50 most influential living philosophers. Find out more about the Clark Lectures here. Over the past two weeks, the College has been privileged to host eminent Christian scholar, Professor John Stackhouse Jr, Samuel J Mikolaski Professor of Religious Studies and Dean of Faculty Development at Crandall University, Moncton, New Brunswick, Canada. Professor Stackhouse began his visit by speaking to all staff with nuance and grace, about the importance of 'vocation', or 'calling' to 'make shalom' and 'make disciples' in our work as a learning community. He explored this notion of vocation in more depth in seminars with each of the Senior School faculties, helping staff make the connections between what we teach (i.e. the subject), how we teach (i.e. the discipline and the pedagogy) and why we teach (i.e. our worldview and values). He also worked with Prep staff on the nature of the A Fine Scots Boy! The Positive Behavioural Plan and its connections to our Brave Hearts Bold Minds philosophy. In sharing his own story with students at Senior School Assembly and House Chapels, Professor Stackhouse called for a greater epistemic humility - being aware of what we don't know or might have wrong - and an attention not just to our achievements but to our character. Such themes will be followed up in a special ScotsIdeas forum on 'Being a (Good) Man', this Thursday 27 July at 6:00pm. Professor Stackhouse's visit concludes with keynote addresses on Christian leadership at this weekend's Scots Leadership Program retreat, which involves a cohort of 20 staff, who have successfully won a place in this custom-designed 18 month training program. 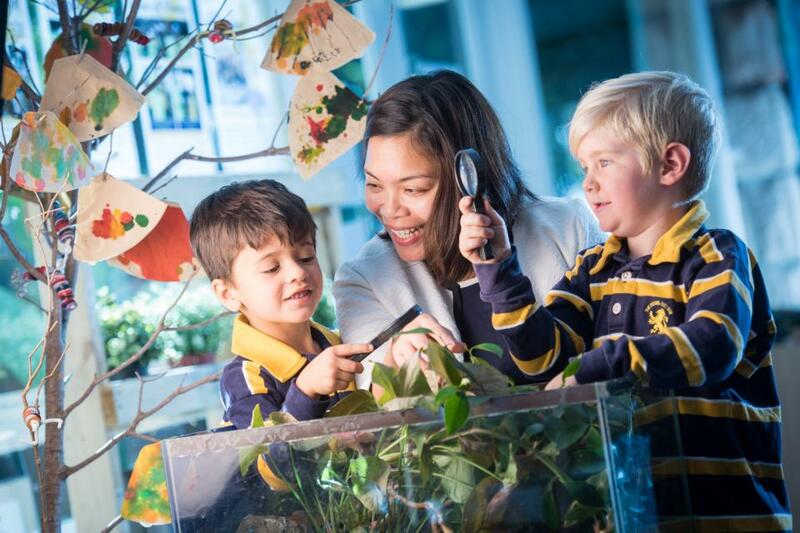 It is a privilege to be in a learning community which draws on exceptional thinkers like Professor Stackhouse, reflecting our commitment to being recognised globally as a leading, caring school for boys. 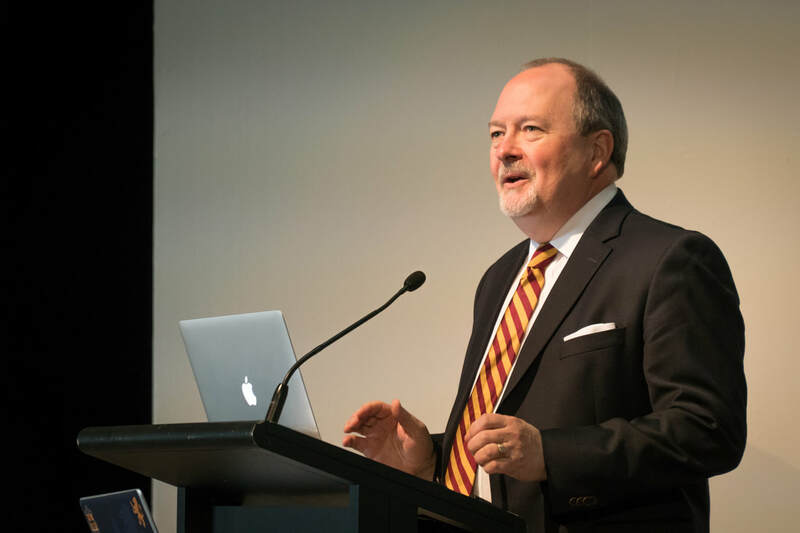 We look forward, in Weeks 4 and 5, to welcoming our annual Clark Distinguished Professorial Fellow, Professor David Smith from Calvin College, to speak on 'The World We Think We Live In: Schooling and Christian Imagination'. For more details and to register for the Clark Lecture, please click here: http://www.clarklectures.org/. During Term 1, The College community participated in a Character Education survey in partnership with the International Boys Schools Coalition (IBSC). The purpose of this survey was to provide the first layer of data in an attempt to orient the College community towards a greater understanding of its practice and pursuit of the Character and Care of our boys. 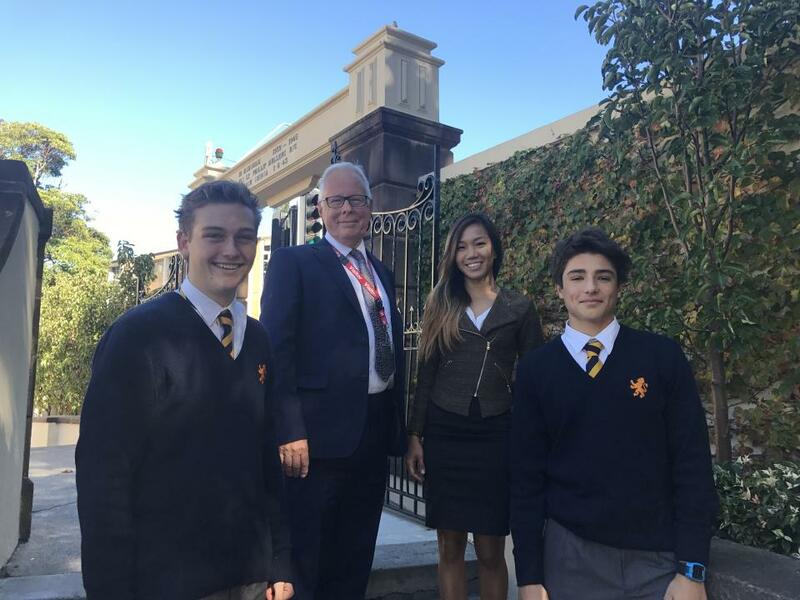 This week, as a continuation of this process, principal researchers Miss Rachel Yijun and Mr Hugh Ouston, from CIRCLE - The Centre for Innovation, Research, Creativity and Leadership in Education, conducted focus group interviews as a means of gaining a richer understanding from parents, staff, and boys in most aspects of College learning community, from Transition to Year 12. Research suggests the quality of a students' relationships, the structure behind their social processes, and the philosophy that undergirds their collective agency affects how and why we learn in all spheres of life (Elias et. al, 1997). In a broad sense, character education refers to the engagement with core values and virtues and the development of personal traits or character strengths that promote well-being, purpose, and success. Character education includes what happens throughout the College, formally and informally within the: curriculum, co-curricular, character and care, leadership development, physical activity, ceremonies and events, and relationships more generally. The Research Centre wishes to thank all members of College community who wilfully volunteered their time to contribute to this endeavour. It is highly appreciated and seen as a valued investment in the future lives of our students, contributing to their longitudinal development for the common good. 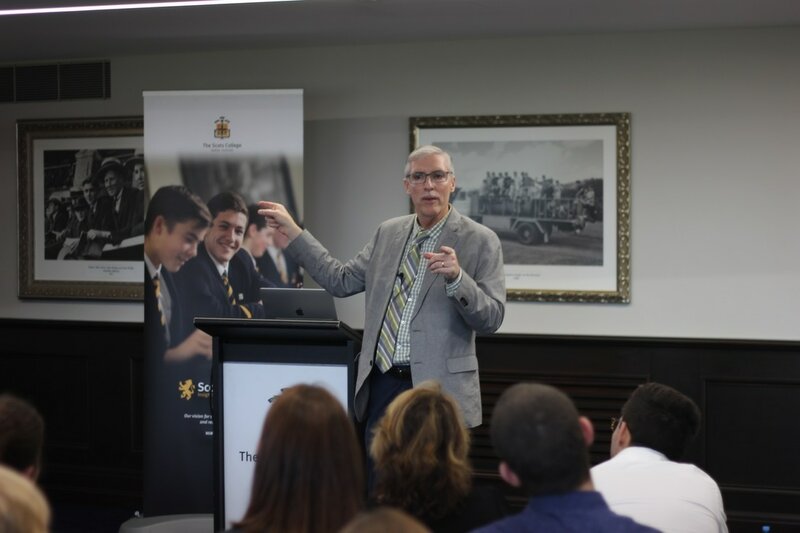 The Scots Research Office had the privilege of hosting the 2nd Australasian International Boys' Schools Coalition Conference for Teachers New to Boys' Schools, Tuesday 11th - Thursday 13th April. 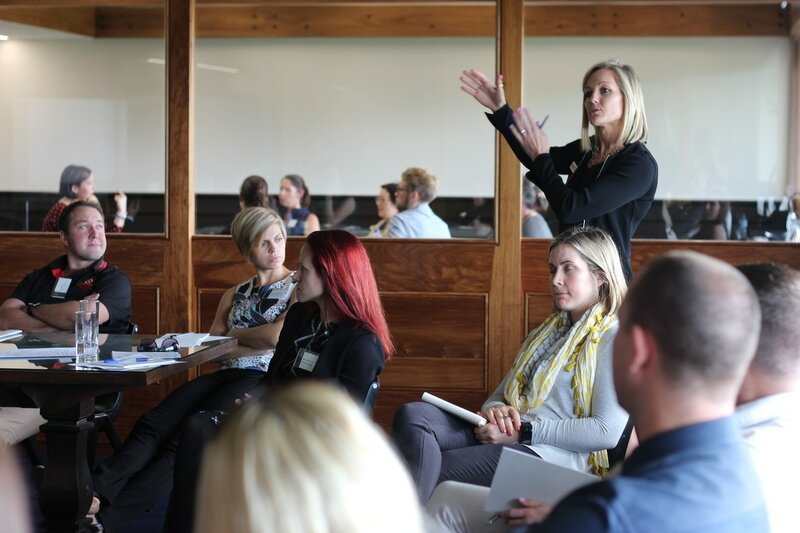 Over thirty teachers from around Australia and New Zealand attended, spanning a range of teaching areas and levels of experience, but sharing a common commitment to excellence in educating boys. Keynote addresses were given by the likes of Dr John Best, former Wallabies physician, Professor John Fischetti, Dean of Education at the University of Newcastle, Dr Phil Cummins and our own Dr Tom Cerni. From the nature of transformational learning in the 21st century, to character development and formation, these addresses proffered the challenge not only know our boys but to also know the world that they are in. Reflecting upon his experience of the Conference, Science teacher Nick Little commented “All of the keynote speakers were excellent but two stood out to me in particular. Dr Best talked about caring for boys in three areas: mind, body and spirit. In this way we should aim to teach boys holistically. Similarly, Dr Cummins spoke about the need to quantify and measure character development in children and adolescents. I had only imagined this as an abstract concept, but now am convicted of its value and importance for implementing holistic care programs in schools like ours, both now and in the future”. Attendees also found plenty of time to discuss shared practice in stage-specific groups and participate in elective workshops on a range of issues, from classroom management to differentiation. You can access the keynote addresses and read more about the conference here. ScotsIdeas: Beyond Mental Health with Professor Ian Hickie AM from imageseven on Vimeo. "Countries must learn how to capitalise on their citizens' cognitive resources if they are to prosper, both economically and socially. Early interventions will be key." Quoting a recent publication in Nature, eminent thinker Professor Ian Hickie AM opened our recent ScotsIdeas forum, Beyond Mental Health, with this provocation. As he explored the unique developmental differences between individual young people, and the value and importance of 'kin' - networks of relationships within communities who are invested in that individual's care and flourishing - it was the nature of such interventions that characterised much of his subsequent discussion. As those in attendance will testify, the evening offered an important and timely exchange of ideas about the ways we can best care for the social and emotional wellbeing of our young men. The video of Professor Hickie's presentation is now available online - please click here to view it in full. It was a true privilege to have such world class thinkers contributing to our knowledge and practice as a College community, particularly as we look to create the first of our five Patribus Centres, focusing on the character and care of fine young men. Be sure to visit scotsresearch.org/scotsideas to watch videos of past forums on topics ranging from sustainability to speechmaking, sports science to the art of motivating boys. We look forward to seeing you at future ScotsIdeas events in 2017. A focus group of families and boys were given opportunity to meet with the lecturers to discuss the heart of the Centre. What was the evident practice that made the Centre unique? How was the impact of the reflective Reggio Emilia practice part of the Centre's philosophy? Each teacher then chose an action research question and became part of a practitioner inquiry to research the question in their class. The research was diverse and was refined over a year as small groups and teachers refined their thinking and saw evidence of change in their practice. Data was collected, practice changed and re-evaluation in teams and classes meant at the final presentation of the work, teachers had not only found some answers but continued with a further question or line of inquiry. Many felt it had finished with a new beginning. Shared ideas and experiences have provoked new directions with year levels and teams reexamining documentation, classroom designs, furniture, small group combinations and programs. Parent participation has given us a great collection of ideas and information to rebuild our website and to offer different ways of communicating our learning while reinforcing the much loved portfolios and celebration materials we currently share. What starts aggressive play in the playground? How does the outside environment impact learning? How do we normalise IT in the Lions program? Do parents value/understand our practice or do they think we should be more formal? How can I prioritise reading skills and strategies during guided reading time? What strategies impact phonetic development in the EALD boys? How do we build a class community? Can problem solving maths strategies be productive in low skill sets? How can I utilise the best class arrangement with boy's voices to build community? What impact is fidgeting having on learning? How can I encourage a student voice in curating the class displays? The research confirmed our list of essential philosophy components in the Centre. The agency of the child is paramount. Knowing the child deeply is the beginning to growing. Choice of the child is heard. Voice of the child in the environment of the room and Centre, in documentation and celebrations of learning is important for connection and comprehension. The environment must be a place of provocation to learning both beautiful and engaging. The experience of play is needed to reinforce and consolidate learning in a social, linguistic and physical domains. The environment is the third teacher. The differentiation of the program to meet the child's needs is foundational to design of programs. Connection and community are important for a sense of belonging, confidence and respect. All boys can contribute to learning. These key points will now become the basis for our document outlining the philosophy for the Centre. We are not a Reggio Emilia 'all of us thinking a bit differently about it' school. We are The Scots College and we do Early Childhood Education this way. We seek to reflect world's best practice, influences and research, in an Australian context. By the time you read this, the most remarkable election in American history will have come to an end, and either Hilary Clinton or Donald Trump will be the incoming resident of 1600 Pennsylvania Avenue, also known as The White House. But as I write, the world waits nervously for the result, both of the election and its aftermath. To help us understand how this course of events came to be, a large number of boys, parents and members of the Scots community were treated to a masterful explanation of presidential politics at Monday evening's ScotsIdeas on 'The Battle for America and the Future of Politics'. Guest speaker Dr Harry Melkonian, a Scots parent and Lecturer at the United States Studies Centre, gave a fascinating story of how and why Americans have come to elect their leader in the curious way they do. From the creation of the colleges of electors at the birth of the Union to the more recent creation of 'super-delegates' in the Democratic Party and the expansion of the 'primaries', Dr Melkonian described how complex American democracy really is. When it came to the two candidates, he discussed their policies and the importance of listening to the questions asked by Mr Trump of America's economy and foreign policy stance, which are often lost in his presentation of them. With extended questions afterwards amidst campaign memorabilia going back to 1964, it really was a superb evening of rich ideas, for which we thank Dr Melkonian. You can watch the full recording below, and click here to see other ScotsIdeas forums on topics ranging from sustainability to speechmaking, sports science to the art of motivating boys. We look forward to seeing you at ScotsIdeas in 2017. ScotsIdeas: The Battle for America and the Future of Politics from The Scots College on Vimeo. The 2016 Clark Lectures - Teaser from The Scots College on Vimeo. The beautiful Scots Church was filled to near capacity last Thursday evening as parents, students, staff and friends of the College were treated to an intellectual 'tour de force' by eminent MIT nuclear physicist Professor Ian Hutchinson. His 2016 Clark Lectures on 'Faith and Fusion: science and the sources of truth' addressed the putative clash between science and Christian faith. Surveying history, philosophy and contemporary science, he pointed to the religiously-inspired origins of science and the practice of modern scientists like him as strong reasons to view this clash as a myth. He answered a number of tough questions on nuclear fusion research, Genesis and the origins of the universe, and the relationship between science, relativism and truth. To watch the full recording of his lecture and question time, simply copy and paste the following URL into your browser: www.vimeo.com/179854618/c71892c6b1. The Clark Lecture brought to a conclusion a highly successful two-week visit during which time a wide range of boys, staff, universities, churches and the media engaged with the thought and faith of this superb scholar. For more information about Professor Hutchinson's other talks please visit www.clarklectures.org. Initiatives like the annual Clark Lectures and Ethos Conference are run by the Scots Research Centre to inspire the best of thinking about faith, learning and leadership. We look forward to seeing you at the 2017 Clark Lectures and at upcoming ScotsIdeas events. 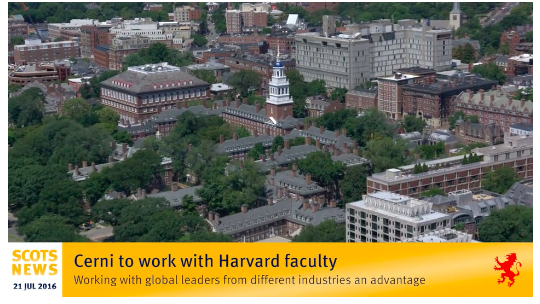 Dr Tom Cerni, Head of Counselling Services at The Scots College, has been accepted into the prestigious Harvard Business School's General Management Program. Dr Cerni will gain valuable insight into how the world's top leaders bring people together to collaborate on cross-functional projects. Dr Cerni will be applying his learning using the 'Harvard Business School Case Study Method' to the development of the new Student Support Services Centre at the College. The development has been recognised as a key part of the College Strategy to support the academic, social/emotional, physical, and spiritual development of all boys at the College and proactively preparing them for the challenges of life.